The Academy of Science of South Africa (ASSAf), in partnership with the Department of Science and Technology (DST), hosted an event on the shale gas industry from 31 August to 1 September 2017 at the Boardwalk Conference Centre in Port Elizabeth. EIMS has significant experience with the environmental assessment of natural gas projects within South Africa, and was specifically invited to attend and participate in this insightful and reassuring collective of scientists, goverenment representatives and NGO’s. 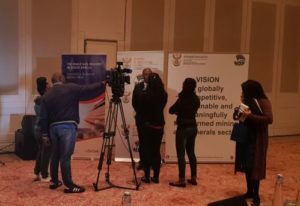 “The event was an initiative following the publication of the ASSAf report on South Africa’s Technical Readiness to Support the Shale Gas Industry. The aim of the event was to showcase critical national reports on shale gas in South Africa, analyse the regulatory environment in light of the findings and recommendations and to consolidate common findings and recommendations and provide a platform for debate. The keynote address was delivered by Dr Phil Mjwara, Director-General, DST, during which he alluded to the DST’s interest in the national shale gas discourse. In his address, Dr Mjwara noted that natural gas could play an important role in the world’s transition to a cleaner energy future. Locally, South Africa is obligated by the National Development Plan to increase energy security by improving the energy infrastructure and by diversifying the energy mix. Sessions at the event explored the ASSAf report (published in October 2016), and the report on Shale Gas Development in the Central Karoo: A Scientific Assessment of the Opportunities and Risks commissioned by the Department of Environmental Affairs and spearheaded by the Council for Scientific and Industrial Research. Following these sessions, presentations were made by those national departments involved in the legal requirements of a shale gas industry. After a session on international experiences, during which presentations were made by representatives from Australia, Botswana and the US, some research organisations highlighted their work related to shale gas, current and planned. Each session included generous time for audience engagement during which speakers were asked questions and offered comments and opinion. The event culminated in a series of roundtables on monitoring and human capital development during which the audience could engage on a series of questions posed by government on how to frame an action plan going forward. The series was initiated by Mr Jacob Moatshe, Acting Deputy Director-General of Mineral Policy and Promotion at the Department of Mineral Resources (DMR). Mr Moatshe represented the Chair of the governmental Hydraulic Fracturing Monitoring Committee, Advocate Thabo Mokoena, Director-General of the DMR, and gave a presentation providing the full background of shale gas in South Africa and what government is doing and what is intended to be done in terms of preparing the country for a shale gas industry. The event included a gala dinner during which Ms Busisiwe Khumalo, General Manager at the Eastern Cape Office of the Premier, addressed delegates on issues relating to energy in the province and the relative priority energy security is afforded. The event was attended by over 120 people representing academia, government, industry and the media.